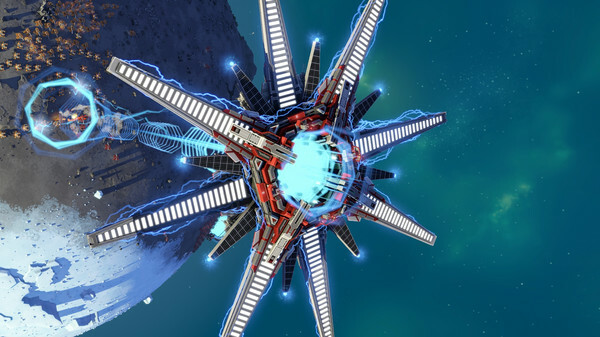 Planetary Annihilation: TITANS [Steam, Official Site] has been revived and then some. This massive new patch focuses on performance and turns it up to max. This was previously in beta which I wrote about before, but it has just been pushed out to the stable build! Everyone now has it. Note: This patch is for both Planetary Annihilation: TITANS and Planetary Annihilation. The multi-threading alone is a huge new feature, which will make bigger games run much smoother. The entire game should be smoother in general thanks to that. I'm really happy about this, as I will most likely start playing it again. Performance was one of the blockers for me, as the later game started to become annoyingly sluggish, but that will be a thing of the past now! I really hope that a renewed focus on the game by some of the developers will bring some players back, they certainly worked hard on this patch. Such a great game. Yet, not for me. and I'd pay extra for it. I'm so sick of all these sandbox and multiplayer-only games. The recent trend is definitely not my friend. and costly. But, as I said, I'd pay extra for it. Really. Good that is still being updated, maybe I start playing it again, against the AI or even online if I find someone in the lobby or unranked. sub Such a great game. Yet, not for me. Have you tried the likes of Dawn of War 2, or Company of Heroes 2? They are nothing original or groundbreaking, but I think "solid" is the word. Especially DaW2's Chaos Rising expansion. IMO one of the best games on Linux. That's true that single player campaign is missing, but skirmish mode is GREAT. I don't think this game really needs campaign. I had lot of fun just playing against AI. And then I started to play ranked 1v1 matches which was good as well. My order of Emperor: Battle for Dune arrived today from eBay. It's supposed to work great with Wine. Just finished Dune 2000 the same way. Too bad I've already finished all the C&C games, but I'll take whatever RTS I can get my hands on provided it has a good single player campaign experience. I've also been desperately waiting for Grey Goo to run under Wine (since the devs have shown no interest in SteamOS), and it's almost there - something I test regularly. It's been on sale for $6 with all DLC in a bundle with a bunch of other games (over at BundleStars IIRC), so will be dirt cheap when Wine fully supports it. Emperor: Battle for Dune runs brilliantly in WINE, I've been testing/running it for over a decade. Support really picked up about 5-8 years ago. You'll probably enjoy it. The plot could be a little bit better, but it's a great title. Runs great so far (with the -C option as per https://bugs.winehq.org/show_bug.cgi?id=35194). When that bug is fixed, it'll likely be flawless.